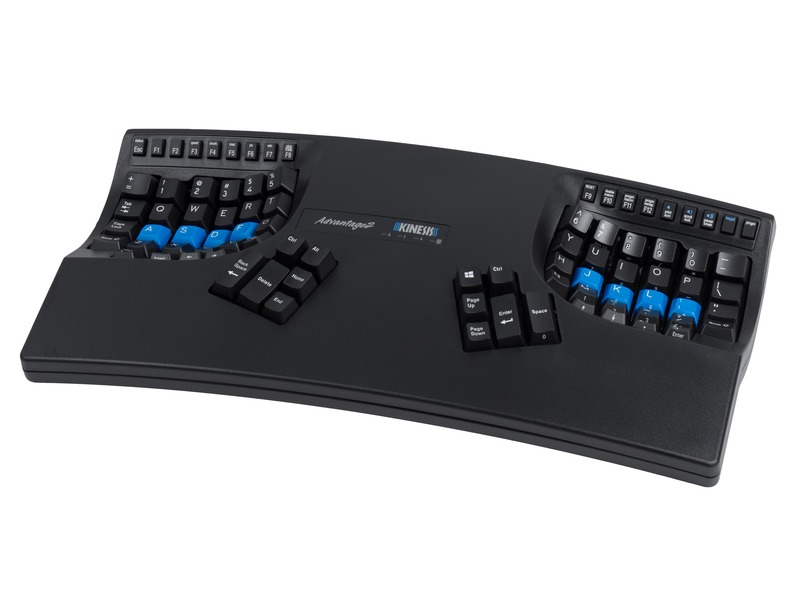 How do I pair the keyboard with my PC, Phone, Tablet? The pairing process depends on your operating system. See our series of instructional pairing videos in the Troubleshooting section below. Do I need to turn the keyboard off when I'm not using it? No. 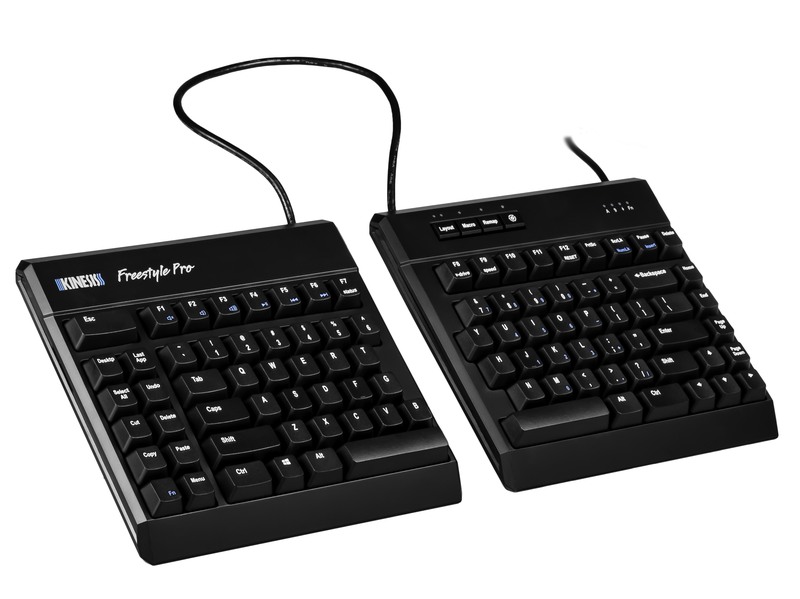 The Freestyle2 Blue was specifically designed to only draw battery power during active typing. A full charge should exceed 300 hours of actual typing or at least six months of “normal use” (2 hours of active typing per day). How do I charge the keyboard? Connect the micro-USB charging cable to the keyboard and then to your PC. A full charge will take 2-4 hours depending on your output of your PC. Where is the USB dongle? The Freestyle2 Blue is a bluetooth, not RF Wireless. 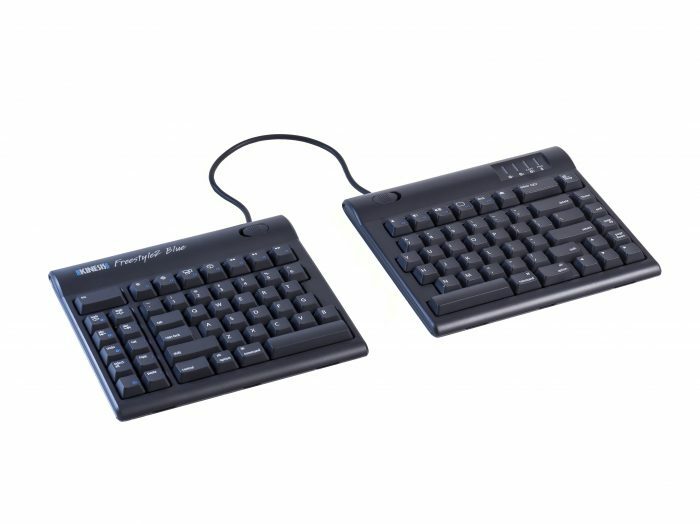 The keyboard pairs directly with your bluetooth-enabled PC and does not require a dongle. If your PC is not equipped with bluetooth, you can purchase a bluetooth dongle. Can use the charging cable for typing? No, the charging cable is for charging only. It does not transmit key strokes it cannot be used in place of a Bluetooth connection. If you are having trouble connecting your Freestyle2 Blue click the links at right to watch instructional videos on pairing with with the most common operating systems. If you still need help, use the link at the bottom of the page to submit a Trouble Ticket. If you still have questions or issues in pairing your keyboard with your computer, phone, or tablet, please submit a Trouble Ticket via the link at the bottom of this page. There is a bug in Windows 8.1 that will cycle through passcodes quickly and may not provide ample time to enter in the passcode before another one is generated. If this occurs, try having another person read you the passcode while you very quickly enter it on your keyboard. If your keyboard has a single dead key, it may be worth removing the keycap and spraying canned air to make sure there isn’t any dirt or debris causing the key to fail. A trick to remove the keycap is to use two paper clips- bend them in the shape of a hook or “J” and pull the keycap straight up) and spray canned air inside the key switch to remove any dirt/debris. If there appears to be any sticky residues on the keycap or on the key switch, try to clean the area as best as you can (usually a damp paper towel is good enough). If the key still does not work, please submit a Trouble Ticket. If your keyboard has multiple dead keys, likely there is a short in the keyboard and requires a repair. Please submit a Trouble Ticket. Toggle the keyboard off and then on. If the battery has a charge, the indicator LEDs will flash. If the LEDs do not flash connect the keyboard to your PC using the charging cable and let it charge for 2-4 hours. 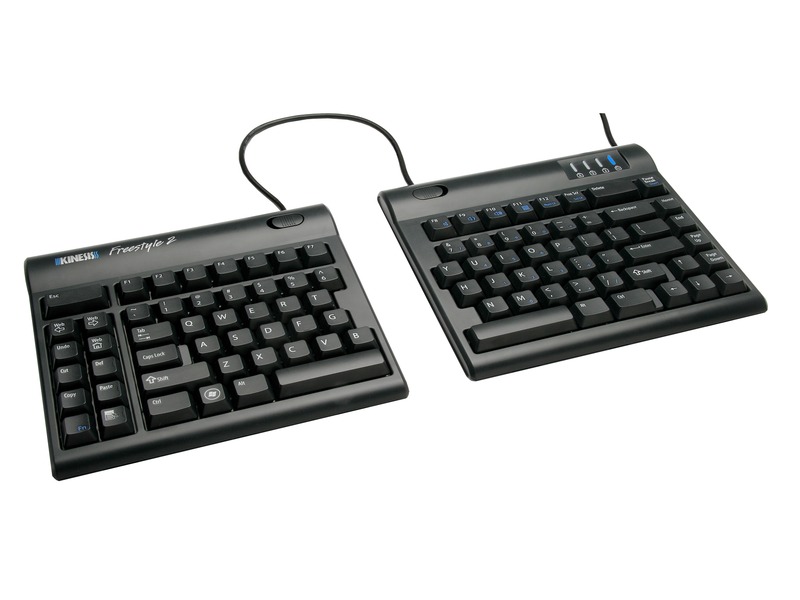 If the keyboard has power but is not typing it has likely become unpaired from your PC. You can try restarting your PC to see if the connection is automatically re-established. If that doesn’t work you will need to re-pair the keyboard with the PC. For best results delete the device from your PC’s bluetooth device list and then repair the keyboard from scratch. If that doesn’t work, please use the link at the bottom of the page to submit a trouble ticket. Submit a trouble ticket and a support technician will respond to you in a timely manner.